← Can a Bail Bond Company Garnish My Wages? The best advice a bail bondsman can offer a person who is interested in learning about an arrest warrant for themselves is to never ever ask a police officer! That is, unless you do not mind being arrested on the spot if a warrant comes back in your name. A better approach would be to discretely search for an arrest warrant first, and then set a plan into motion to manage the warrant responsibly. This might involve arranging days off from work ahead of time, and then prearranging a bail bond to avoid a long jail stint. You can comfortably cope with a warrant if you choose the proper route upon discovering one for your arrest. Continue reading to learn how to check for active arrest warrants in the privacy and safety of your own home, and who to call for trusted prearranged bail bonds. 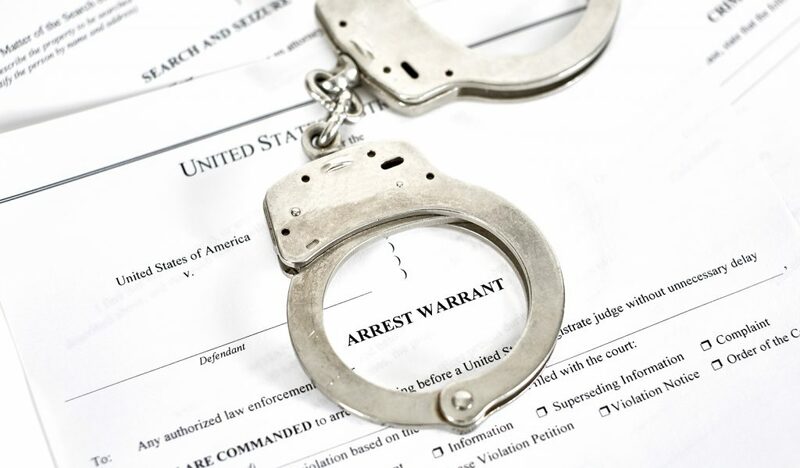 It is important to address an active arrest warrant as soon as possible. Ignoring it only intensifies the possible consequences and outcomes you’ll inevitably face anyway. It is better to deal with the situation before authorities eventually track you down and arrest you at home or at work. Not can an on-the-spot arrest happen at the most inconvenient of times, it can jeopardize time with children, family, and your employment, and even cause public embarrassment and shame whether you are guilty or not. For minor offenses such as traffic violations and skipped court dates, police will most likely not use their time to track you down; however, for major offenses like DUIs, hit and rungs, drug possession charges, theft, and assault, law enforcement are likely to stop by your home or place of employment to look for you. It is most common for individuals with active arrest warrants to be found or discovered when they are pulled over for standard traffic violations, like speeding or a defective tail light. During these routine stops, police run the vehicle’s plates; and when this happens, any warrant will show up immediately during the routine background check process. There are instances when even the most responsible individuals have arrest warrants issued for them. In the case that a person accidentally forgets to pay a speeding or parking ticket, a warrant will be issued for their arrest unless they make retribution at the court house. In this same case, it is still very likely that they will be arrested, booked, processed, and then released on bail for the infraction. Another instance that a person has an active warrant, but has committed no crime, is identity theft. Criminal identity theft is a common crime that puts innocent people in troubling predicaments. In the case that someone has stolen your identity and committed a crime, it is important to retain legal services and contact a reputable bail bondsman for assistance. Contact Woods Bail Bonds at 317-876-9600 for prompt and professional, 24 hour bail bond services in Indiana. Not only can we get you out of jail fast, we can prearrange a bail bond if you need to surrender to an arrest warrant. And we provide our services in over 30 Indiana counties, regardless of time, day, or city. Request a free estimate, anytime. This entry was posted in Arrest Warrants and tagged 24 hour bail bonds Indianapolis, arrest warrant bail bonds, arrest warrant bonds Indianapolis, arrest warrant Indianapolis, arrest warrant search, check for active arrest warrants. Bookmark the permalink.